Shaving products contain special ingredients that can nourish man's skin skin and soften that crazy beard hair. There are countless items available for men, from shaving creams to razors, triple-milled soaps, soft shaving brushes, and gels, there are a ton of products to select from. Want to protect your face from razor burn? Maybe you're trying to keep your skin hydrated and reduce irritation? There are a multitude of products and each has its own benefits. Before you head out to the scary world of a mall or shopping center, it's important to determine your skin type and figure out what kinds of shaving products suit your needs. 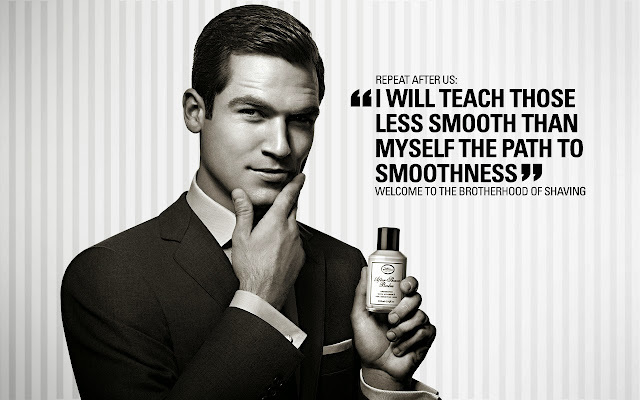 Quality shaving creams allow a razor to cut hair with minimum irritation, leaving your skin smooth. These are some of the most popular shaving products for men. They come in different scents and flavors such as lavender, sandalwood, lemon, and vanilla. A good shaving cream will sterilize any cuts in the skin and open your pores. These products have a refreshing effect that most men love. Some offer extra protection from bumps and burns, which makes them ideal for sensitive skin. Others improve the skin’s natural regenerative process, alleviate skin dryness and protect against environmental factors. If you use a quality cream, your face will look healthy and smooth after shaving. There are different types of shaving razors on the market, including straight razors, safety razors, cartridge razors, and electric shaving razors. Straight razors were very popular in the past. These products offer great results, but take too much time and maintenance. Safety razors offer a smooth shave without causing ingrown hairs and irritation. They have a permanent handle and a metal head that holds a replaceable razor blade. Most men prefer these products for their increased safety and ease of use. Electric razors have gained a lot of popularity in the past few years. These products are ideal for trimming mustaches and beards. However, they often irritate the skin and cause inflammation. Many men complain about the price. You may also try cartridge razors, which are quite affordable and easy to use. These shaving razors have a replaceable cartridge with up to five stainless steel blades. It is recommended to replace the cartridge after four or five shaves. After-shave lotions leave the skin smooth and supple. They also help reduce redness, tightness, and burning. Some of these products will keep your skin hydrated all day long while providing a soothing, cool sensation. The highest quality after-shave lotions contain vitamin E, magnesium, and antioxidants that nourish your skin and energize the whole face.